Lancet Countdown Report 2018 receives widespread media coverage. UCL-Energy, UCL ISR and UCL IEDE contributed to an influential report on the health risks of climate change published this week. 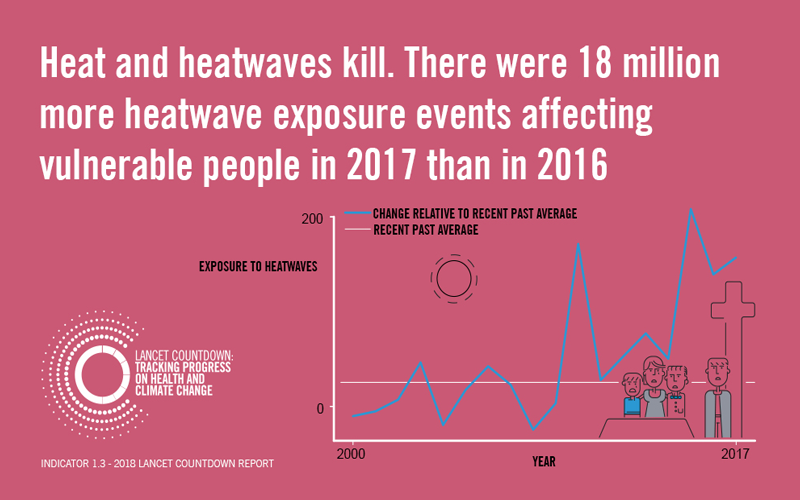 The Lancet Countdown Report 2018, published in The Lancet, shows that Rising temperatures as a result of climate change are already exposing people to health risks across the globe.